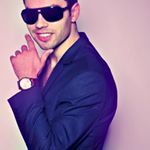 Zizzo World is a songwritter, music producer and artist from London, United Kingdom. He start within the music industry in 2004, in Romania, and lately in 2008, in New York he discovered Logic Pro Daw, and has created first own tracks. What started off as a way to entertain himself and kill some time quickly grew into something much more serious and passionate. At that time he was on different names, as Serje Casanova and after Serje Zizzo. REINVENTING In the last years, Serje turned his focuses to the music business side of things; honing his sound, rebranding, and marketing. With the latest successfull release in 2017 “Little more” he became Zizzo World. Now, he describes his own music creation with a “unique music mix”. Blending elements of pop with other music genres, it will make him the perfect hitmaker and artist performer.